Shift Shop - New Beachbody Workout - Try Shift Shop For FREE! Shift Shop – New Beachbody Workout – Now Available! Ready to reinvent yourself? Here’s your chance. 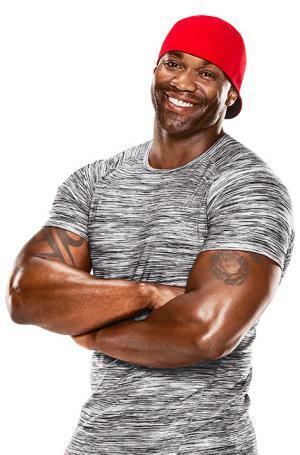 The SHIFT SHOP is Chris Downing’s breakthrough rapid-rebuild program that helps anyone of any age or fitness level see maximum results in only 3 weeks. Using a breakthrough “ramp-up” method, Chris starts you out slow in Week 1 with 25-minute cardio and strength workouts you can really do, and a nutrition plan you can stick with. In Week 2, you push harder with 35-minute workouts, and consume more protein to fuel the burn. But it’s nothing you can’t handle. Finally, in Week 3, you kick your shift into high gear: 45-minute workouts and clean eating. * BEST VALUE – Access Shift Shop & Much More With An Annual Beachbody On Demand All Access Challenge Pack – Click Here! Shift Shop DVD Challenge Pack – Click Here! Just Want The DVDs? – Shift Shop DVD Base Kit – Click Here! Or Try Out Shift Shop And Beachbody On Demand Completely For FREE! – Click Here! Try Shift Shop For FREE… Click Here! 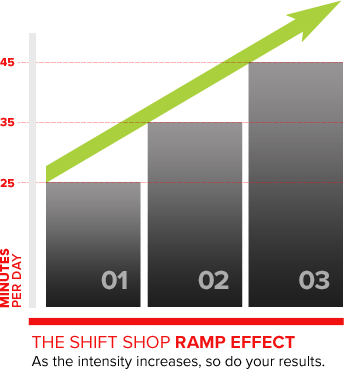 Shift Shop is a 3 week program and it’s being called “The 3 Week Rapid Rebuild”. The workouts and meal plan are broken up into 3 phases and it’s designed to get maximum results quickly. During week 1 of Shift Shop the workout are 25 minutes long. In week 2 the length of the workouts is increased to 35 minutes. And in the final week, the workouts are 45 minutes long. Week 1 – Chris uses shorter, 25-minute workouts that’ll help you stay focused and committed. And you’ll be eating a healthy balance of carbs, protein, and fat. Week 2 – Just as your body adapts to the workouts, Chris increases their length to 35 minutes. Plus, you’ll cut back on the starchy carbs, while revving up the proteins and veggies. Week 3 – It all comes together. Seven days of higher-intensity workouts, while eating clean. This is your grand finale. As mentioned in the video above, the Shift Shop meal plan is made up of 3 phases. As you progress through each phases you decrease the amount of carbohydrate servings you are consuming, and increase your proteins and vegetables. The carbohydrate manipulation creates rabid fat loss, especially during the last week of the program. Based on your current weight, you will be assigned to a category according to the Shift Shop meal plan that dictates how many servings of each category (carbs, vegetables, protein, etc) you can eat every day. In just 3 weeks, Shift Shop will make your body stronger, leaner, and faster. According to Chris Downing (the creator), Shift Shop is for anyone at any fitness level. There is no need to worry that it will be too hard for you because every workout includes a “modifier” that you can follow along with if you need to. Don’t worry about keeping up with everyone in the video, that’s not what this is about. The goal is to do your best and make progress. Follow the workouts the best you can, stick to the meal plan, and you WILL see results. How Long Are The Shift Shop Workouts? Chris Downing is a proven personal trainer who has just one goal in sight: to help you accelerate the change you’ve always wanted. As creator of the SHIFT SHOP fitness program, Chris’ engaging, motivation-based approach helps you grow stronger both physically and mentally. It’s about so much more than helping you just get fit and lose weight. It’s about shifting your body and mind to a place that allows you to reinvent yourself. Chris encourages you to envision what you want to look like and accomplish THAT. He takes the most results-driven training methods—effective for everyone from pro and amateur athletes to the everyday gym-goer—and tailors them to help you achieve a significant total-body transformation. This includes shorter workouts with exercise intervals that help you burn calories fast, and lose fat, while still increasing your strength. Whether it’s agility training, premium weight-loss moves, or the ultimate abs workout—prepare to burn fat and reshape your physique at lightning speed—all while being powered by Chris’ personal philosophy: Love. Empower. Inspire. SEE ALSO: Can Women Do Body Beast?